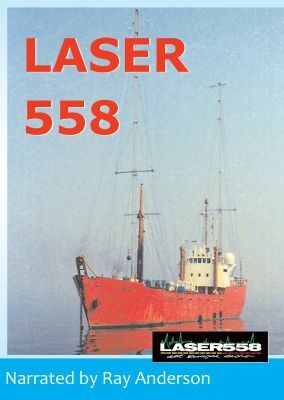 The EAP video crew shot this footage for the LASER 558 Video in early June 1984, shortly after LASER officially started broadcasting. Our footage was commissioned for use by UPITN (now World Television News) and was featured all over the world on News programmes from the USA to Hong Kong. A further one minute sequence was also shown on ITN's 'News at One'. This is your chance to see the full footage specially edited into a report shot on board the newly equipped 'm.v. Communicator'. It features Ric Harris, Jessie Brandon, David Lee Stone, Paul Dean and Steve Masters including views of the studios, transmitters, generators etc.